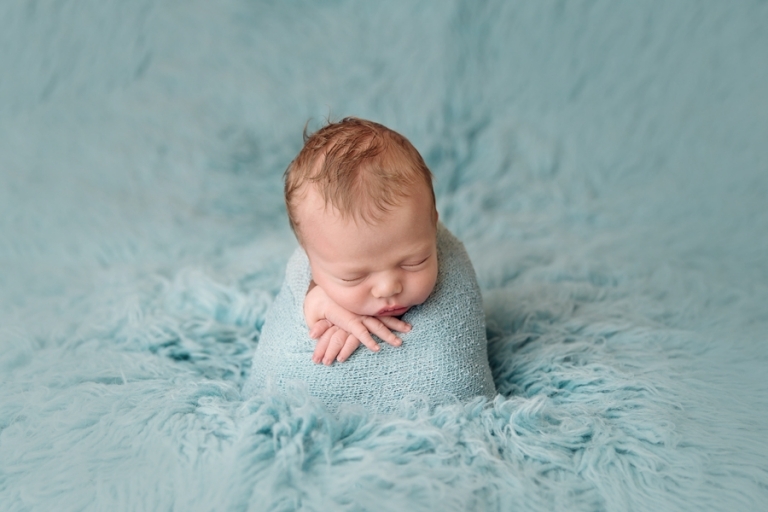 Oh this little man….<3 Lucas came into the studio last week and stole our hearts. I mean seriously, look at that little face and that wavy hair! 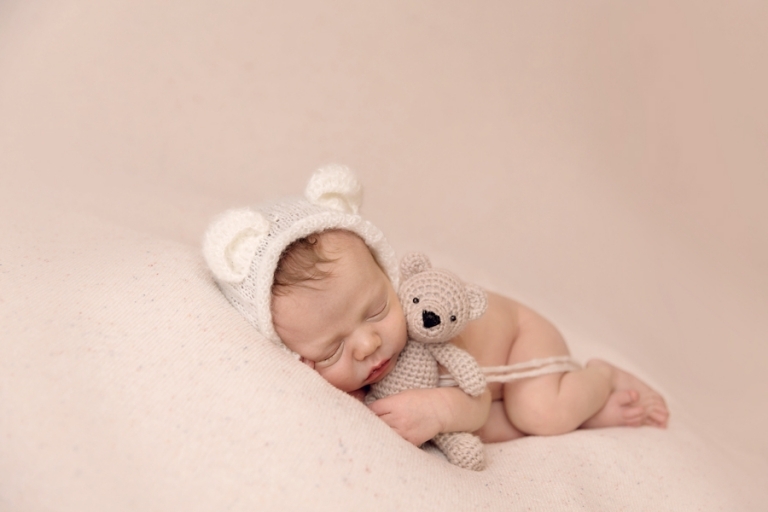 He slept like an absolute champ for his newborn session too! Needless to say, he was a dream~ all nine pounds of him! I have to admit, as much as I love neutrals, this turquoise flokati from Fancy Fabrics is my new favorite! It works awesome for boys and girls alike- so versatile! Ah, the sleepiest little bear! Love this lovey from Mary’s Knittin‘ and bonnet by Auspicious Laundry! The cream backdrop is by Roses and Ruffles. 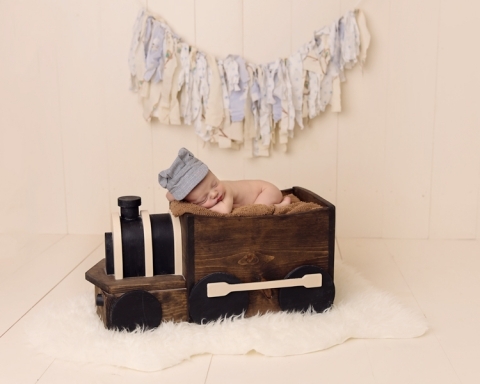 Lucas’s momma requested this train set- oh my, isn’t he just the most adorable little conductor?? She also requested the froggy pose. *Important note* Baby was always supported for this shot- this is a composite (2 photos put together). Love this bonnet by Stitches by Sarah– her bonnets are hands down the best!! Something a little different for this one~ I love using Intuition Backdrops for a variety in sessions. Thank you so much for stopping by! 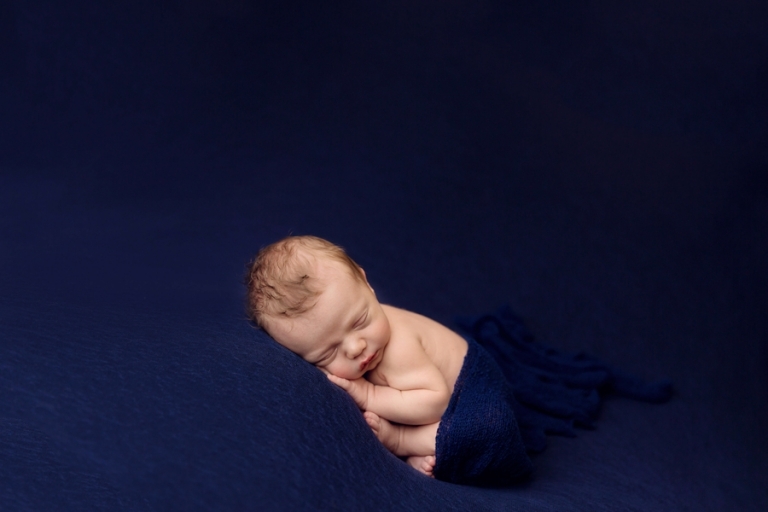 To learn more about newborn sessions, please visit the newborn session information page and the newborn portfolio page. Please schedule your session before your little one is born to insure availability- you can reach me at mary@marychristinephotography.com. Mary Christine Photography is a Medina Ohio Photographer specializing in custom newborn photography. She serves greater Northeast Ohio, including Cleveland, Akron, Medina, Wooster, Brunswick, Wadsworth, and surrounding areas.